The Firm 12" Organic Natural Latex Mattresses by Healthy Choice feature a 3-layer construction with a 100% natural Talalay latex core. They have an organic cotton cover and organic wool fill, and they provide ample support and pressure relief for stomach, back and side sleepers. See our expert rating & reviews. 12" thick. Natural latex core. Organic cotton cover with an organic wool fill. Includes a 7" box spring. The 12" Firm Organic Natural Latex Mattresses by Healthy Choice feature a supportive three-layer construction. There is an extra-firm bottom layer for support, then a firm middle layer and a soft layer on top for added comfort. These layers combine to form a comfortable and supportive mattress that is a good choice for back and stomach sleepers, plus they provide pressure relief for side sleepers, too. 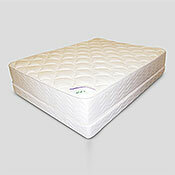 These mattresses are comprised of high-quality organic materials that provide comfort for years on end. The core of the mattresses are made of a natural rubber that is derived from the sap of the Hevea Brasiliensis rubber tree. The rubber is processed via the Talalay method to retain its natural elements and create the purest form of rubber. The top of the mattresses are covered with an organic cotton that has an organic wool fill—the wool is derived from organically-raised sheep. The organic cotton cover also provides breathability and allows air to circulate around your body and wick moisture away, keeping you cooler while you're sleeping. Polyurethane, toxic chemicals and synthetic materials are never used in these mattresses—they are all comprised of healthy, organic materials that you can trust. In addition, these mattresses are built to provide relief of pressure points that you may experience from coil or innerspring mattresses. The soft top layer of the mattress is designed to mold to your body, alleviating pressure points and helping you to sleep more soundly. The Firm 12" Organic Natural Latex Mattresses by Healthy Choice are designed and made-to-order in the USA. Please allow 3-4 weeks for delivery. These mattresses provide excellent support with their three-layer construction. The layers combine to form a supportive and super-comfortable mattress that will relieve you of pressure aches and pains throughout the night. They are derived from only organic, natural materials that are designed to better your health and the earth. These quality, handcrafted mattresses will provide you with years of healthy sleep. You'll have a restful night's sleep on the Firm 12" Organic Natural Latex Mattresses by Healthy Choice. Its three-layer construction with a natural latex core provides support and comfort that you will not get from innerspring or coil mattresses. 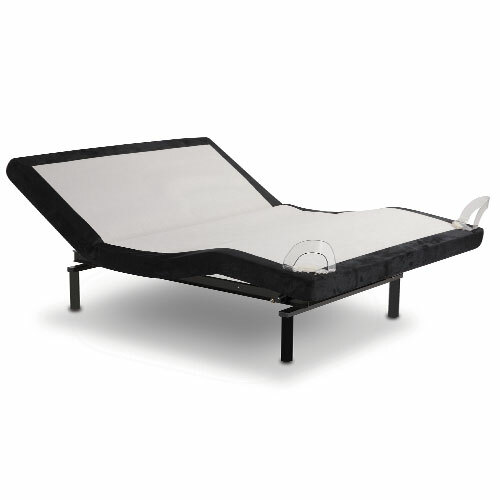 They are great for back and stomach sleepers, providing relief from painful pressure points. These mattresses are only made with natural, organic materials, so you'll never have to worry about sleeping on chemicals or toxins. The Firm 12" Organic Natural Latex Mattresses are built for durability and will provide you with years of deep, restful sleep.